A back-to-school awareness and engagement ad for the New Balance Fresh Foam collection. My task was to include the benefits of the Fresh Foam collection while staying on brand. 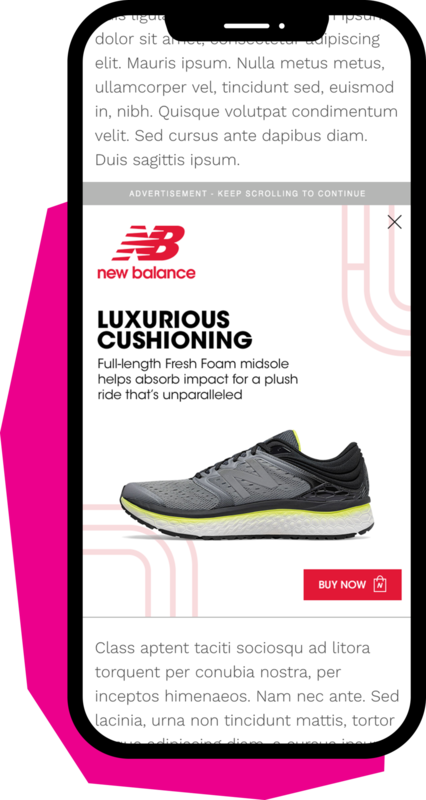 While the ad was full screen, the shoe floated within the frame to highlight its lightness. 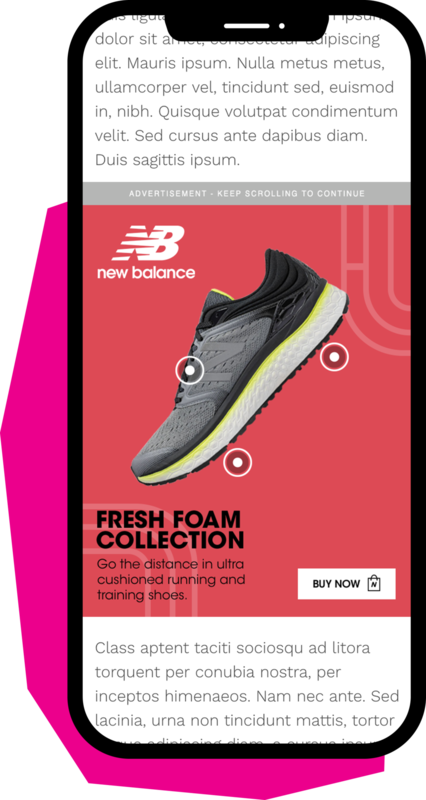 When the user tapped on the ad’s various hotspots, a modal would appear, describing the shoe’s benefits and features.